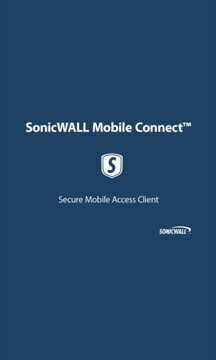 SonicWall Mobile Connect™ provides users full network-level access to corporate and academic resources over encrypted SSL VPN connections. The client provides anytime, anywhere access to critical applications such as email, virtual desktop sessions and other Windows applications. 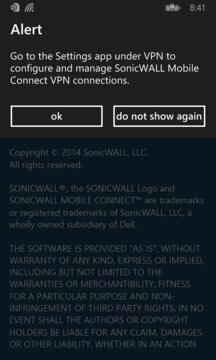 • SonicWall firewall appliances including the TZ, NSA, E‐Class NSA, and SuperMassiveTM 9000 Series running SonicOS 5.8.1.0 or higher. For more information on SonicWall SMA and Next-Generation Firewall solutions, please visit www.sonicwall.com.